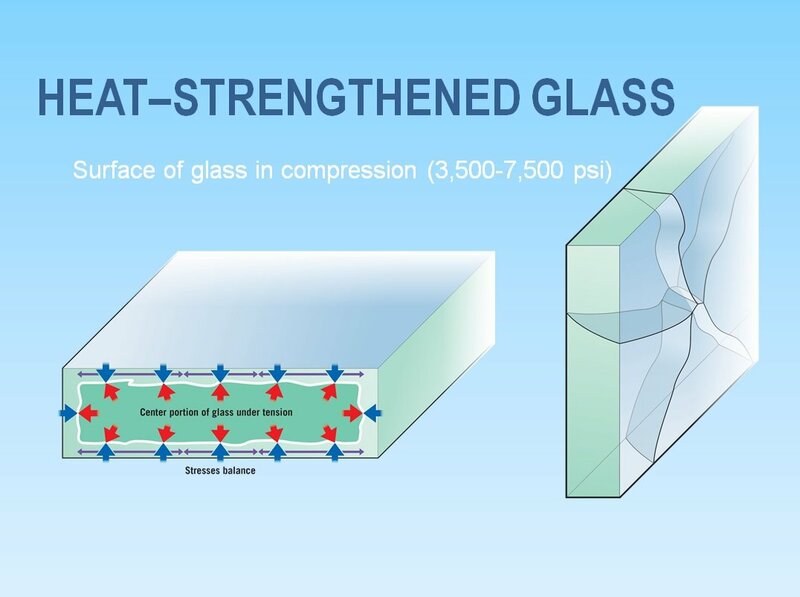 With tempered glass, the cooling process is accelerated to create higher surface compression (the dimension of force or energy per unit area) and/or edge compression in the glass. It is the air-quench temperature, volume and other variables that create a surface compression of at least 10,000 pounds per square inch (psi). 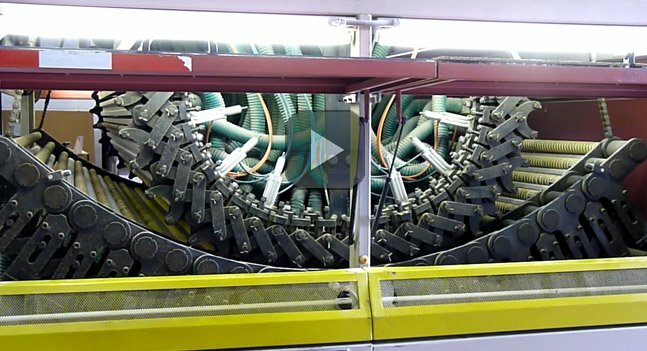 This is the process that makes the glass four to five times stronger and safer than annealed or untreated glass. As a result, tempered glass is less likely to experience a thermal break. With heat-strengthened glass, the cooling process is slower, which means the compression strength is lower. In the end, heat-strengthened glass is approximately twice as strong as annealed, or untreated, glass. The industry standard specification requirements for heat-treated or tempered glasses are ASTM C1048. For heat-strengthened glass, the requirement is a surface compression of 3,500 to 7,500 psi with no requirement for edge compression. 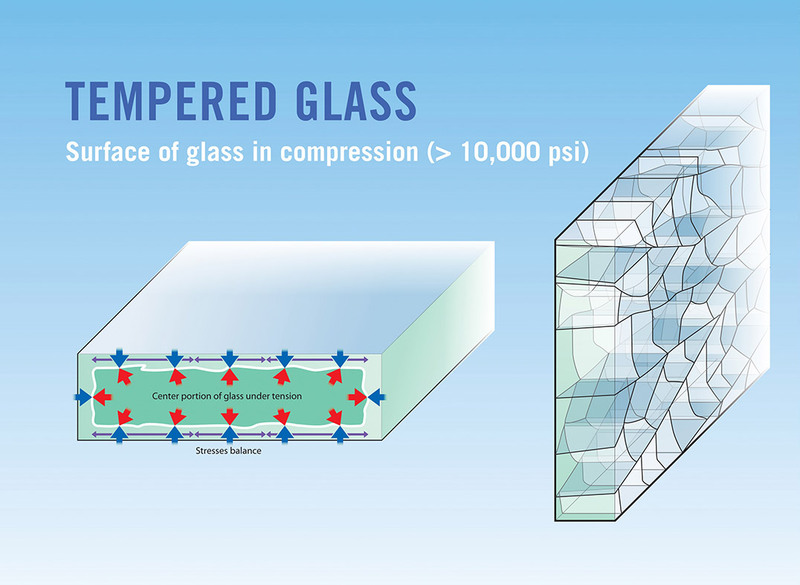 Fully tempered glass will have either a minimum surface compression of 69 MPa (10,000 psi), or an edge compression of not less than 67 MPa (9,700 psi). Safety glazings are typically specified to provide security or to keep occupants safe wherever there is the potential for broken glass to hurt people if it becomes a projectile, such as in a fire, explosion, tornado or hurricane. Heat-strengthened glass is typically specified when additional strength is needed to resist wind pressure, thermal stress or both, and the additional strength or safety break pattern of fully tempered glass is not required. Another advantage of heat-strengthened glass is that when broken, the glass fragments are more similar in size and shape to annealed glass fragments and thus tend to stay in the opening longer than fully tempered glass particles. Although heat-strengthened glass is NOT a safety glazing by building code, this breakage pattern prevents the glass from falling and injuring someone. Safety glazing is fully-tempered glass that meets the requirements of the safety glazing standard CPSC 16 CFR 1201 or ANSI Z97.1, or both. 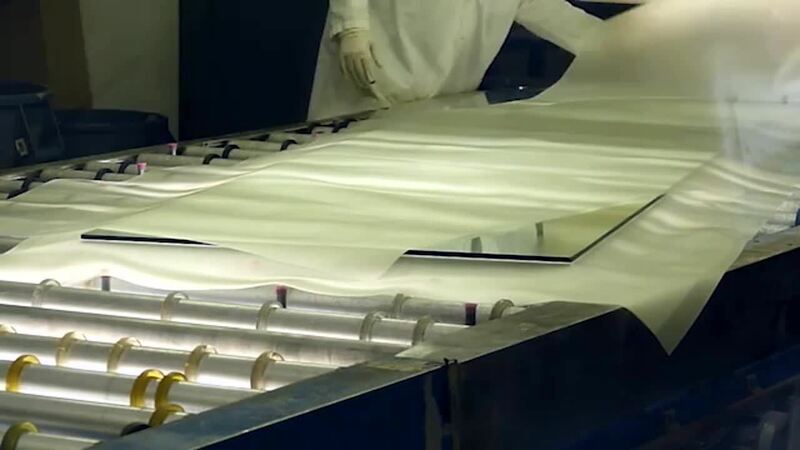 Safety glazing, when broken, fractures into relatively small pieces, thereby greatly reducing the likelihood of serious cutting or piercing injuries in comparison to ordinary annealed glass. For some applications, such as glass in doors, tub and shower enclosures and fixed glass in close proximity to a walking surface, fully-tempered safety glass is required by building codes and ordinances. Fully-tempered safety glass is often used for other applications where its strength and/or safety characteristic are desirable, such as table tops, counter tops, showcase enclosures, refrigeration and food service equipment, furniture and similar applications. Fully-tempered glass also is used in applications when significant additional strength is needed to resist wind pressure, thermal stress or both. However, because of this break pattern, tempered glass is much more likely to fall from the glazing system immediately upon breakage. It’s essential for design professionals to consider this when selecting a safety glass. If it’s important for the glass to stay anchored in the glazing system, another form of safety glass, such as laminated glass, should be considered. With both heat-strengthening and tempering, distortion is a possibility. Optical image distortion occurs in glass for many reasons, including glazing pressure, wind load, temperature and barometric pressure changes, or even changes in altitude between where a glass is made and where it is installed. 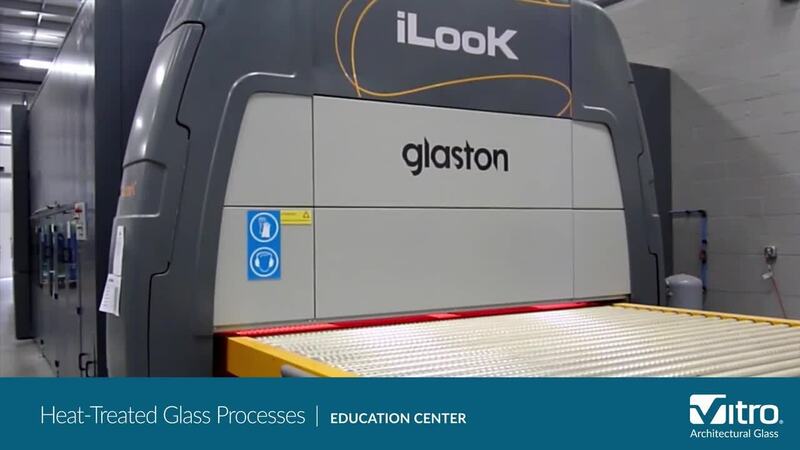 Because of its fluidity at higher temperatures, glass also is inherently susceptible to roller wave, bow and warp while it is being heat-treated. While there is no industry standard to quantify permissible heat-treated glass roller wave, a tolerance of 0.005 inches is often specified. Vitro Architectural Glass (formerly PPG glass) recommends using a millidiopter specification instead, if it is available. 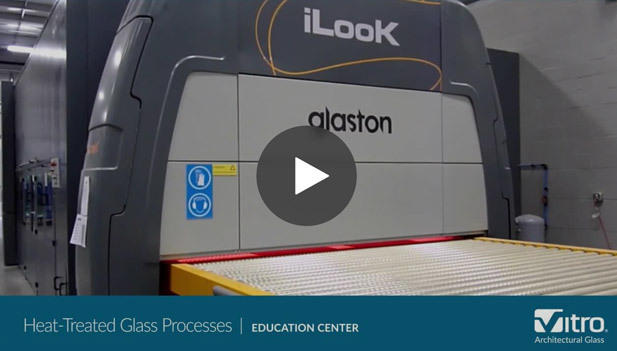 Safety is a prime consideration when determining the type of heat-treating process necessary for a project. Deciding whether to use heat-strengthened or tempered glass depends on the specific application. For example, heat-strengthened glass can be selected for applications that do not specifically require a safety glass product; and tempered glass should be used wherever safety glass is a requirement. For complete technical information about using heat-treated vs. heat-strengthened glass, read Vitro Architecutral Glass Technical Document TD-138. For any other glass questions, please contact Vitro glass or call 1-855-VTRO-GLS (1-855-887-6457).